Quality Environmental Services Delivered With Professionalism and Sensitivity. The air we breathe. The surroundings we live and work in. The fibers and materials of our lives. We daily face a world of concerns, remediation, and regulations for our potentially harmful environments. From air quality problems to asbestos, every building holds the possibility of health risks for its occupants. Environmental Experts is dedicated to solving those problems. 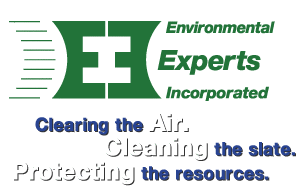 From environmental inspections to complex asbestos and lead abatement, indoor air quality issues, and HVAC System cleaning, EEI offers comprehensive services to deal with virtually every challenge. EEI has worked in the environmental industry from its inception. Our management team thoroughly understands and keeps abreast of changing codes. Whether the concern is a single room or a 50-story skyscraper, we know how to interpret and efficiently comply with ever changing and complex regulations. Using state of the art equipment for inspection, removal, replacement, repair or encapsulation, our highly skilled specialists are cross-trained to deal with all aspects of a project. Our services are always performed professionally and discretely, with minimum disruption. For a smooth transfer of knowledge, we'll review our detailed closeout paperwork with you after our work is done, and provide an exceptionally thorough documentation package. We know that, beyond the project, you need assurance of quality in the years to come.